Not everyone likes that answer because no one likes to feel uncomfortable, sticking their neck out, or feeling they’re at risk. I get that — our nature is always to seek the comfort zone, but unfortunately while nothing bad usually happens when we stay there, nothing good happens either. 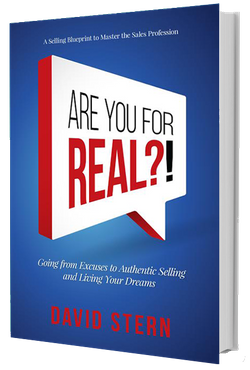 One client in particular couldn't answer the first two “Freedom questions” in my book, “Are You For Real?! ?” Therefore, she closed the book and never went forward with the reading. The first question asks that if nothing stood in your way, what would the big picture for your life be, and the second one asks about the goals you would need to set in order to put the pieces of that big picture together. When I asked her what her goals were, she said simply, “I don't know. My kids are out of the home, what I’ve set out to do I’ve accomplished.” Going forward, she was totally clueless. Guess what? That’s ok - “I don’t know” is an acceptable answer to these questions, because frankly, like this client, many of us have had so much on our plate to serve others — the boss, the spouse, the kids — that we rarely take the time to ask ourselves what we want. And I have to tell you, that’s very difficult for people to walk through that process. But admitting that is the first step, really. I think people view themselves as unusual if they’re fearful of change, but really we all are. 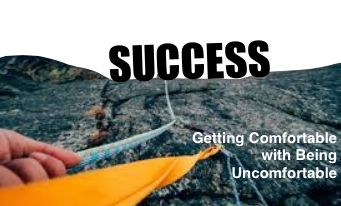 With the exception of those rare thrill-seekers (many of whom we idolize for their “luck” in being successful), we’re focused on the fear of the unknown, of the potential for risk and failure. So the first step is recognizing what you’re afraid of, why, and changing your attitude to one of determination. Everyone is fearful of something, but success lies in moving through it with the eyes on the goal and often practicing affirmations to help trick your mind to say “I am fearless.” It may sound silly, but these thoughts are powerful in combating the other negative thoughts that have kept you in a crummy job, a bad relationship, or an unhealthy lifestyle. Some experts even suggest posing in the superhero stance every morning (arms on hips) to help you ingrain the thought. Next, practice how you will react to any obstacles that may come up. Envision how else you will overcome rejection, criticism, or falling short in some way. It is a lot easier to rise again when you already know what your Plan B, C, and D will be. It also helps you to gain confidence in achieving your goals and helps to eliminate the drama so many of us put into a failed attempt. Third, while we all know what could go wrong, refocus on the reward and what could go right. What does your world look like when you’ve accomplished even the very first step? Specifically, how will you feel, and how do you think others will regard you when they see you succeeding? The more detail you can give that “What if?” the more strength you will gain in dealing with your fears. Here is a crucial step: remember what you already have overcome. We are often so focused on where we want to be yet and haven’t gotten to, that we forget we’ve had plenty of challenges in our lives that we have met and triumphed in. How did it change you? How much better was the outcome than you thought it would be? Remember the pride you must’ve felt in achieving your objective. This current challenge is no different, and you should take how far you’ve come with you as you continue to improve, thrive and succeed. And all it takes is being ok with being uncomfortable, because the harder you work, the less time you stay in that state. It’s time to get started, and in this step, it’s about starting small and often. In other words, make doing uncomfortable things a habit that you develop in small ways and frequently. Attend a networking event intent on handing out at least a dozen business cards to people with whom you’ve had a conversation with and can benefit by working with them. Make that call you’ve been telling yourself could be a “no.” Little things that can help boost your resolve to accomplish the big things. The more often you repeat it, the easier it will become, and to no one else’s surprise but your own, you will start seeing positive changes in your life. So again, I don't really have a problem with the answer “I don’t know.” It’s likely a symptom of fear, and often people are even afraid to admit they don’t know something. The trouble with encountering “I don’t know” is that it becomes such a road block that people simply stay where they are. However, I believe that if we accept that, it’s a step forward. Accepting that we don’t know is half the battle. If one is willing to go through the unknown, they’ve already traveled half the battlefield to success, with victory awaiting them on the other side.